First, lately we’ve both been bitten by the bug to work. After a couple of years off from writing about personal finance, I have the urge to return to the subject. I have an idea for a website, and I can’t let go of it. Meanwhile, Kim is eager to produce income of her own. As a result, we both find ourselves wanting to work more than we want to tour. Second, we’re a little burned out. After nearly five months on the road, we’ve become numb to the constant newness of everything. We’re not appreciating things as much as we did in the beginning. Sometimes it seems like too much effort to head out to another National Park. As a result, we passed most of our time in the Cleveland area “at home”. We read. We wrote. We worked. We went for long walks. We talked with fellow trailerites. We laid out by the pool. But we didn’t see as much as we’d planned. Still, we found time to do a few things. By nature, I’m scared of roller coasters. It’s just not natural to get whipped around at 100 miles per hour (or more). I can’t help but think of all the things that could go wrong. But I’ve learned to use logic to overcome my fear. “Millions of other people ride roller coasters without getting hurt,” I tell myself. “Surely, I can do the same.” And so I ride. Kim, on the other hand, has no such fears. She’s a born daredevil. She loves roller coasters. When Kim heard about Cedar Point, she had to go. We spent an entire day at Cedar Point had a hell of a lot of fun. Mostly. Although I’ve managed to overcome my fear of these rides, I still haven’t figured out how to keep from getting hurt. If I ride too many in a row, I invariably get a headache, and sometimes (no joke!) I come close to passing out. This time was the worst yet. One wooden roller coaster, in particular, rattled my brain so that I had a headache for several hours afterward. 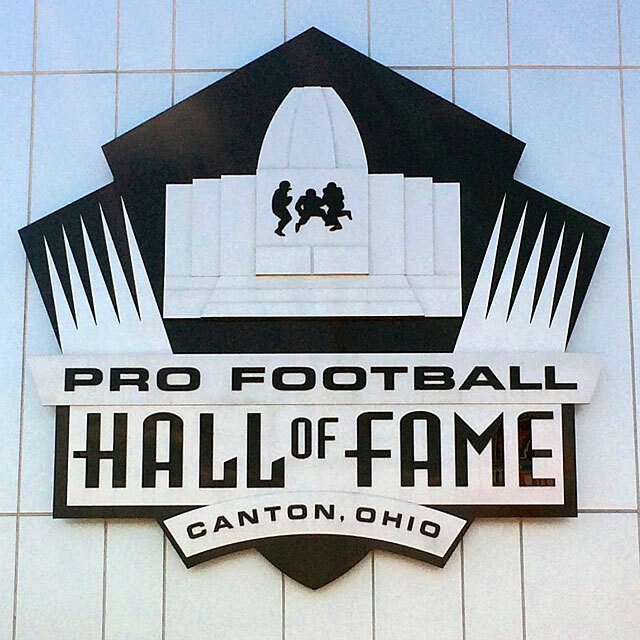 Also in the Cleveland area, we visited the Pro Football Hall of Fame. I’ve heard about Canton, Ohio my entire life, and have always wanted to visit. I wanted to read about my football heroes and see exhibits related to my favorite teams. Perhaps because I’d put the hall of fame on a pedestal, I was disappointed by my visit. I’m not sure why. There just wasn’t as much there to see and do as I had hoped. Kim, who isn’t a huge football fan, was mostly bored. She liked it even less than I did. On the other hand, we both loved the Rock and Roll Hall of Fame in Cleveland. I think the Rock and Roll Hall of Fame is so fun because it’s easy to get into the audio-visual experience. The place is huge, and everywhere you go, there’s music playing all around you, and most of it’s music you’ve heard all of your life. Plus, there are plenty of video presentations about famous musicians and moments in music. 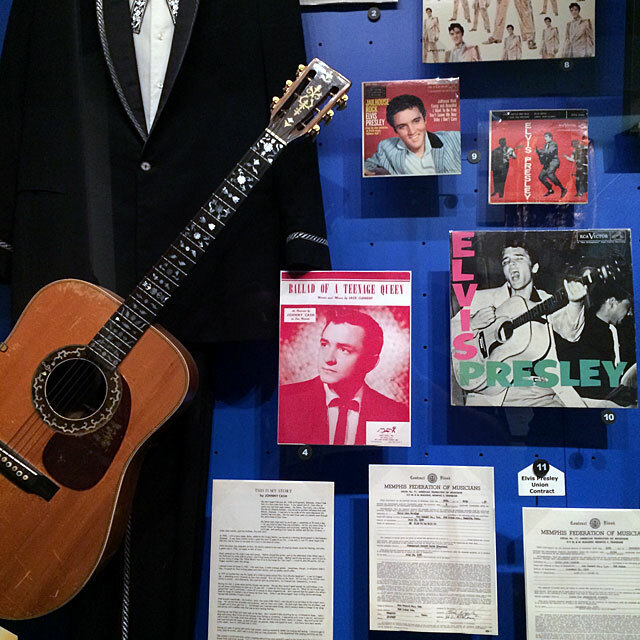 There are exhibits about different genres, and about how certain cities have influenced the development of rock and roll. If you like music, this place is awesome. We wandered the museum for three hours and felt like we rushed it. I was particularly pleased to be able to see the Paul Simon exhibit. Simon has always been one of my favorite songwriters, so I loved the look behind his creative process. Although Cleveland’s prominence has faded in recent decades — it’s half the size it once was — there’s still plenty to do in the area. Kim and I didn’t sample all the city had to offer. Perhaps will return in the future? Let me guess … that wooden coaster was the Mean Streak, right? I rode it for the first time three years ago, and nearly left my breakfast on the person seated in front of me. 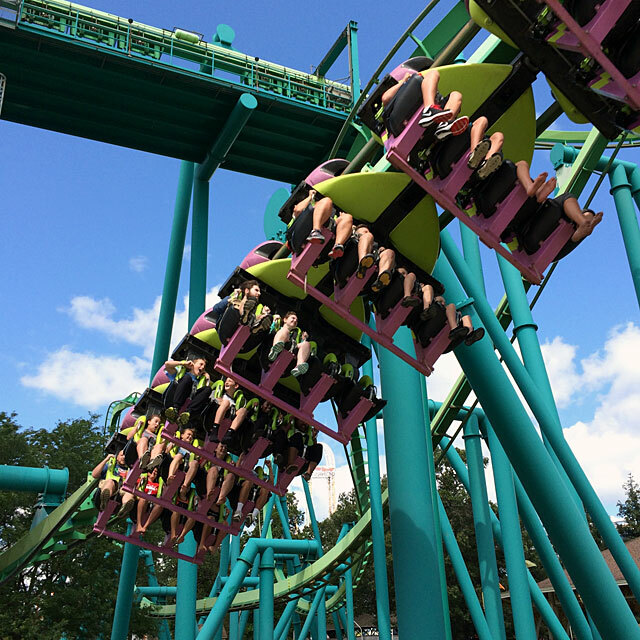 Roller coasters can HURT after one passes the 40-year-old mark! Yep. That was the one. The Mean Streak banged my head around something awful. I usually like wooden coasters — but not that one. Is it just me, or are some of the posts dated more recently going live before earlier posts? Oh man. You just scratched the surface of clevland. If you are a foodie. This is the place. If you love parks. the metropark system is a jewel that many take for granted. I hope you get a chance to get back this way again to see more of the city.